Cremation Care Centers provides cremation services for families in Tulsa and Oklahoma City. Cremation Care Centers also provides cremation services for every city and town in the entire state of Oklahoma. Families who choose us for their cremation needs tell us they appreciate our excellent customer service and convenient arrangement options. We have bundled our best features in convenient, low-cost packages to take some of the decision-making burdens off of our families. 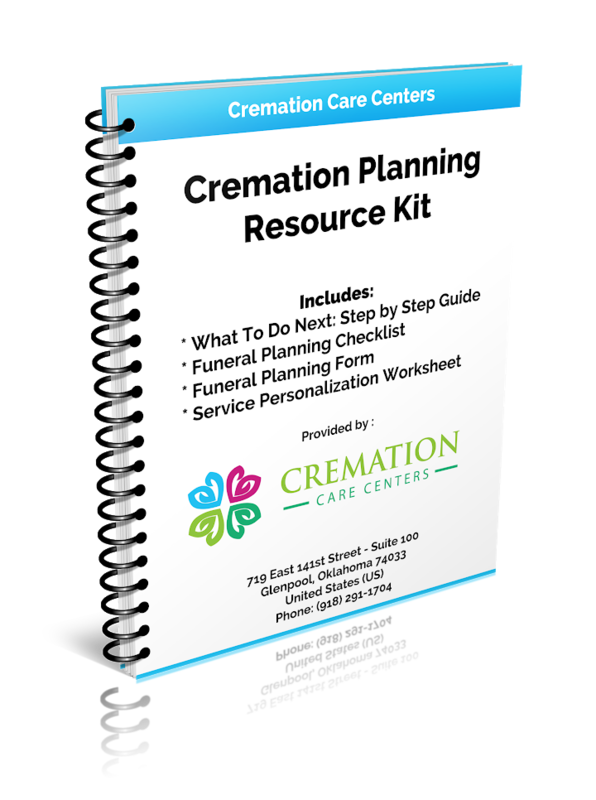 The area’s first internet cremation provider As the area’s leading provider of cremation services, Cremation Care Centers brings a new way of handling arrangements for cremations. We offer our families the ability to contact us through our easy-to-use website, telephone, email, or even postal service. In most cases, our families are not required to come to the funeral home unless they choose to do so. Although we offer these convenient methods of communication, we are always available to answer questions or handle any concerns. The staff of Cremation Care Centers has over thirty years of cremation experience. We have served hundreds of families in the Greater state of Oklahoma. Over the years, we have gained a wealth of knowledge of the legal issues and local requirements regarding all aspects of the cremation process, including the expertise to ensure all paperwork and permits are handled the correct way. This gives our families the peace of mind so they may focus on honoring their loved one’s memory. One of our convenient cremation services is direct cremation. Cremation Care Centers is one of the few area cremation service providers to offer direct cremation. Our staff will pick up your loved one in Tulsa and surrounding areas and transport them directly to our facilities. We handle everything from there. This is another way we ensure the arrangement process is not an added burden to our families during their difficult time. Many area funeral homes are more interested in traditional burials than cremations. Cremation is our main business at Cremation Care Centers. Although our prices are lower on average, we still provide Oklahoma residents with personalized service during their most difficult times. We have bundled our features into convenient packages to eliminate the hassle of making difficult choices. Our packages are reasonably priced and include several options for your loved one’s cremation services. If you would like more information on the services we provide please browse our website, send us an email, or give us a call.